ALL workshops require pre-registration & are located at Inner Jewelz private home studio in Oshawa unless otherwise stated. Class sizes are very limited, so book early! Address is always provided at time of registration. Call or text: 905-410-0656 or email: innerjewelz@rogers.com to reserve your spot. A Mala is a set of 108+1 beads which have been used in various forms throughout history for prayer, chanting, meditation & mantra practices. Many modern practitioners also use them for goal focus, energetic manifestation, intention setting & personal empowerment. 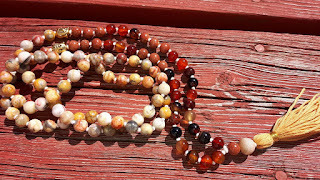 Join Julie LockhartThompson to learn what a Mala is, their history, why to use them, how to use them & to create your very own 108+1 gemstone knotted Mala. All supplies, instruction & handouts will be provided. 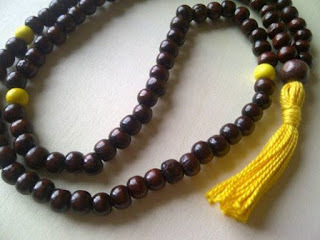 Malas are a beautiful reminder of our intentions! Used for centuries to aid practitioners in their prayer, mantra, meditation &/or affirmation practices. 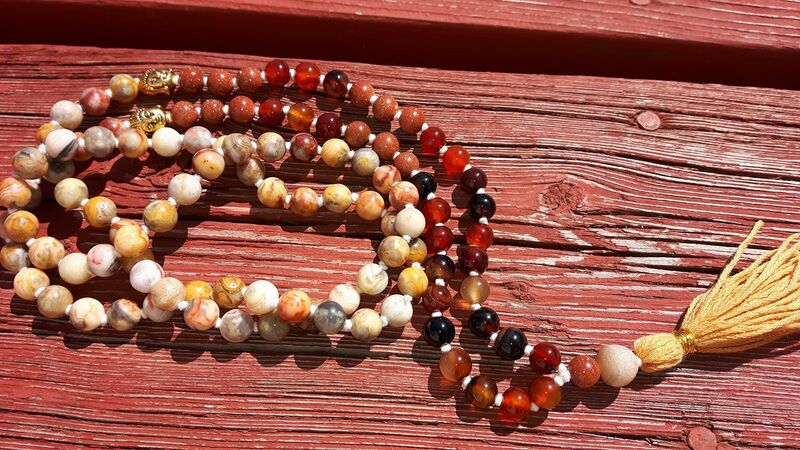 Join Julie in this fun Mom & Me Mala workshop to create your own wooden 108+1 Mala necklace & invite your child to the wonderful world of meditation, sacred tools & creation! Preregistration & payment is required. Address provided at registration. 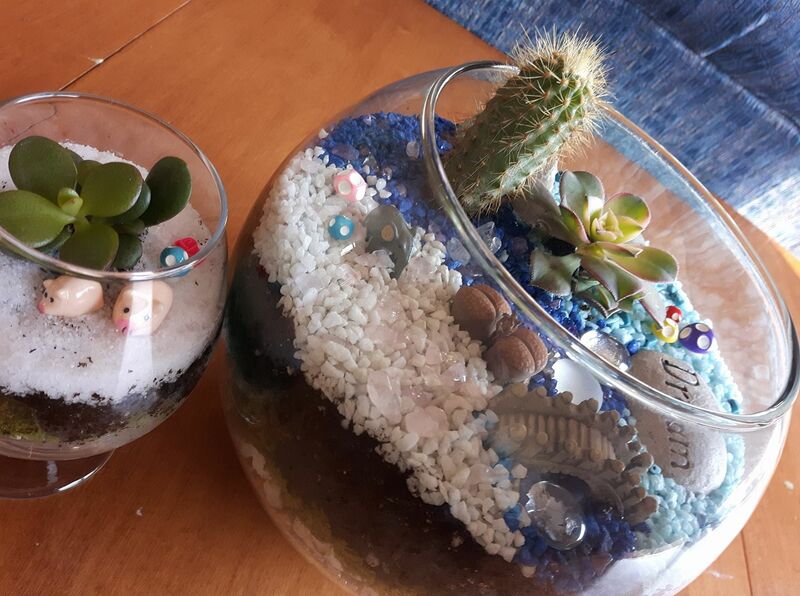 Come out & let your green thumb shine in this fun DIY Terrarium workshop. All supplies & instructions will be provided to create your own fabulous terrarium! **Kids 12 & over are welcome! Come stretch out, play & have fun with your little one! This class will be super gentle, perfect for practitioners of all levels & will focus on stretch & strengthening the body, as well as, stretching & massage for baby. Please bring a yoga mat for you & a blanket for baby. All parents are welcome! Ecstatic is defined as: feeling or expressing overwhelming happiness or joyful excitement. Ecstatic Movement/Dance is giving your body permission to move & flow in any manner it desires in the moment. There are no dance steps to learn & there is no right or wrong way to experience your dance. The goal is simple: allow your physical body to express itself fully & deeply. Come home to your body! 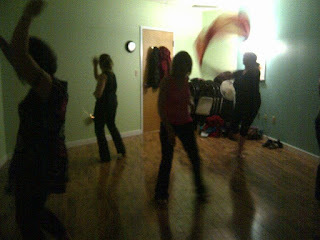 Flow, move, sway & stretch your body in delicious & joyous ways! Dress comfortably & bring water.